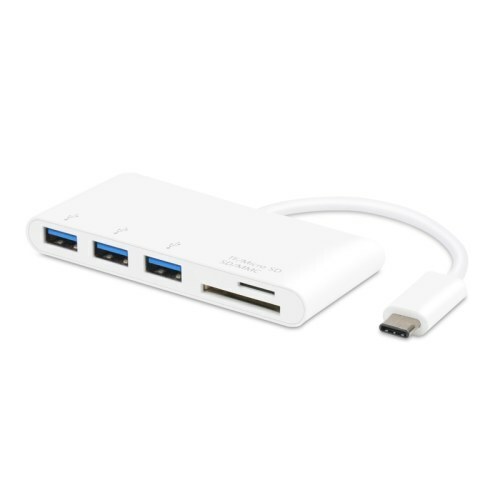 This is a USB-C to three USB 3.0 hub with Micro SD and SD/MMC port. 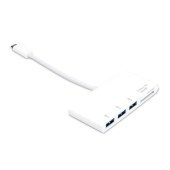 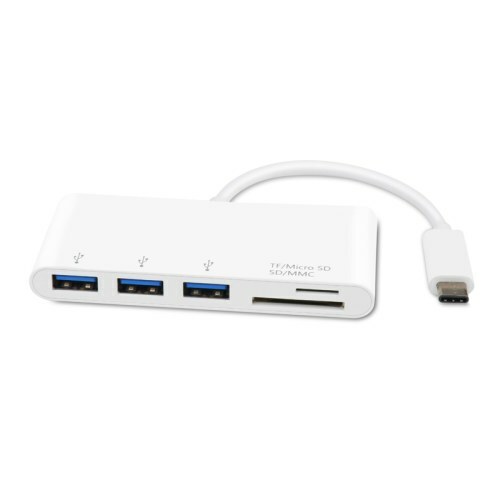 The USB 3.0 port allows you to connect USB device or another hub to the host USB-C computer, the Micro SD and SD/MMC port allows you to access the external memory of the host PC. 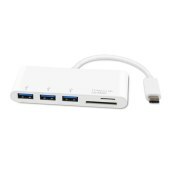 It can work on Macbook or Google new Chromebook Pixel and other USB-C supported devices.